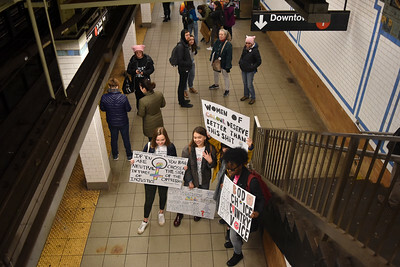 Columbia University Students waiting for the 1 train down to the protest early in the day. 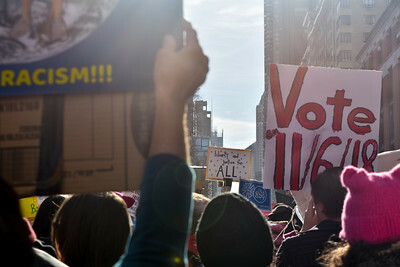 A protester holds a sign up high. 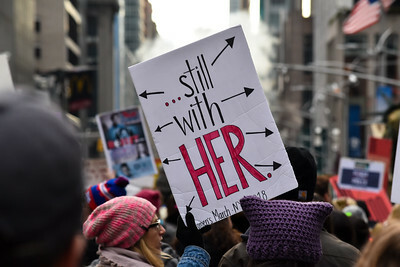 The popular phrase "still with her" could be seen on many signs during the day. 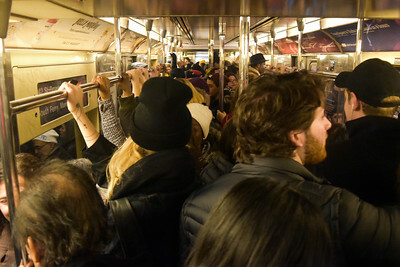 The subway cars down to W 72nd Street were full to capacity. 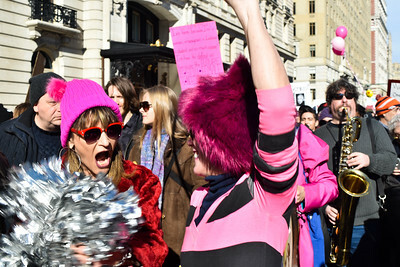 Several bands played in different areas of the march. Members of one such musical group are pictured above. 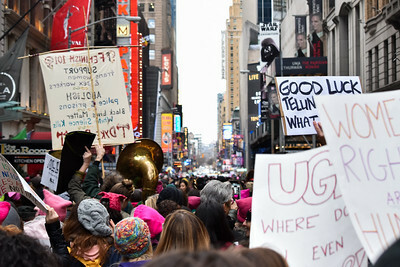 The march concluded at 42nd Street and protesters dispersed in different directions to head home. 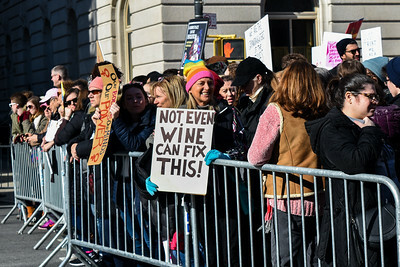 Marchers waited in pens until the rally at Central Park West between 61st and 62nd Streets finished and the march began at 12:30pm. 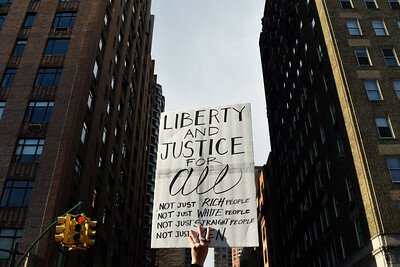 Signs included messages like "liberty and justice for all." 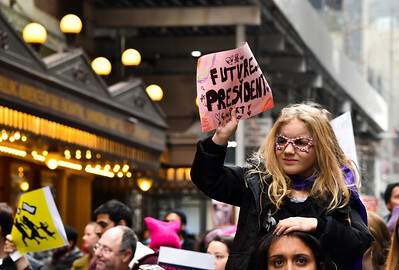 One of the younger marchers waving a sign that reads "Future President." 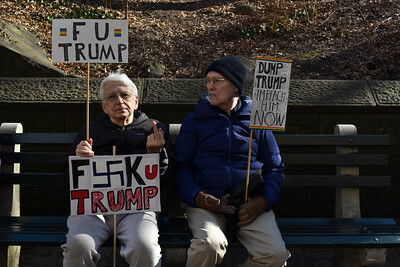 Marchers taking a break on a bench.